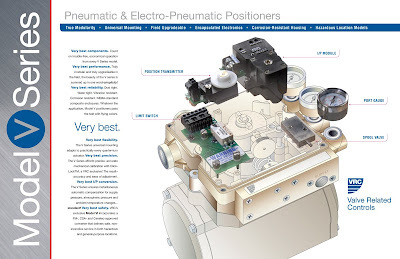 Valve Related Controls, Inc. (VRC) is one of America's premier designers, manufacturers and marketers of Pneumatic and Electro-Pneumatic Positioners and related accessories. VRC serves an international clientele, from Canada, Australia and the UK to France, Germany and Sweden. VRC has been a client of the firm since 1993 and continues to rely on BBCG's creative team for marketing, advertising and other niche services, including digital product illustrations such as the one featured above. In order to help promote the Appalachian Education Initiative's Art & Soul: West Virginians in the Arts book, BBCG contacted a few of the featured artists and asked if they'd record a Public Service Announcement based on a script we composed. Veteran comedic actor and Morgantown native Don Knotts was not only quick to reply, but also quick to deliver! 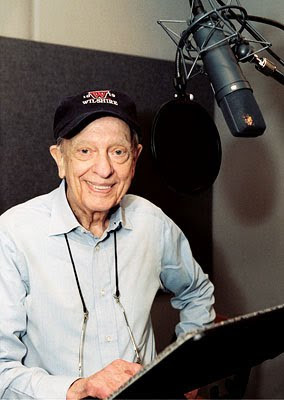 Unfortunately, Mr. Knotts passed away less than a year after recording this spot. But through the magic of television and film, not to mention this simple audio recording, his generous spirit lives on. 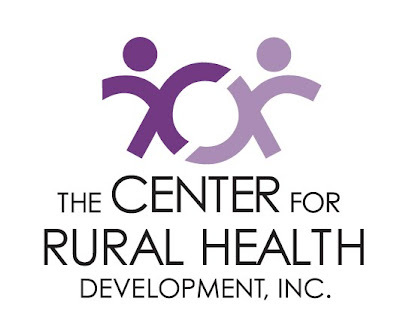 The Center for Rural Health Development Inc. is a private, non-profit organization created in 1994 to provide leadership on rural health issues. The Center serves as a technical assistance and resource center to improve access to health care services in rural and under-served areas of the state. BBCG created the Center's logo, which has held up remarkably well over time. It evokes a coming together of sorts around a common goal or initiative. When long-standing BBCG client Spilman Thomas & Battle PLLC needed a campaign that punched through the clutter and functioned equally well across the firm’s Mid-Atlantic Basin footprint, the agency delivered with the compelling “Get There!” trademark series. 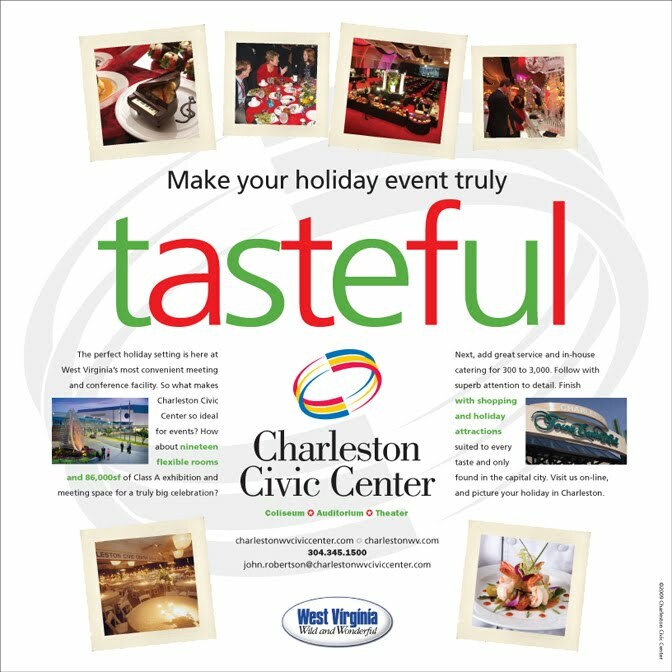 Illustrated with vivid images and key words that best characterize – and distinguish – the firm, the campaign utilizes newspaper, periodical, web and collateral to make its point. Click here to view numerous ads from the series as seen in magazine and newspaper. 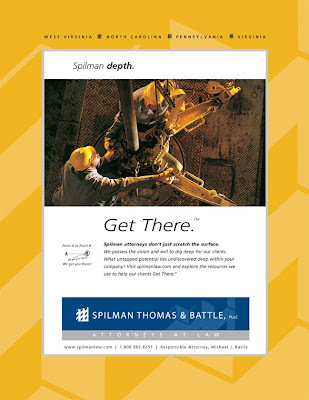 Visit Spilman's site to see how the campaign has been integrated into the firm’s web presence. 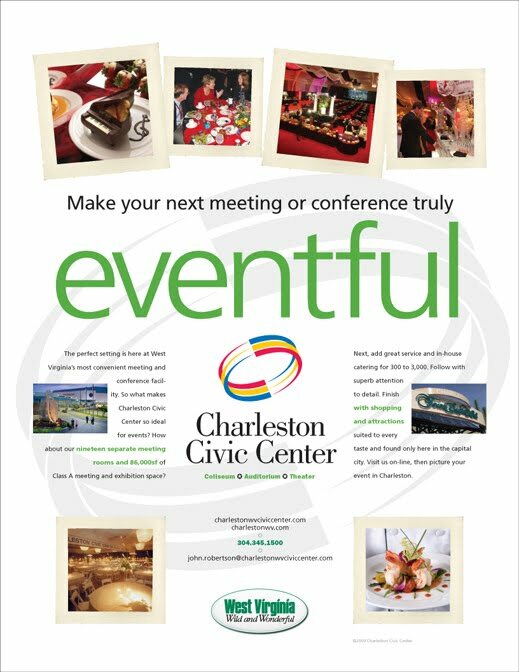 When the Charleston Civic Center requested a marketing campaign focused on its conference facilities and in-house catering services, BBCG's design team created a clean, elegant design concept and employeed magazine, direct mail/reader response cards and on-premis collateral to tout the facility’s strengths in a ‘tasteful' and ‘eventful’ fashion. BBCG received its first Charleston Civic Center assignment in January of 1989, the very month the agency was formed. Value continues to play a key role in the longevity we enjoy with our clients.